Emmy Award-winning Betty White stars in Air New Zealand's latest safety films in a fictional American retirement resort. 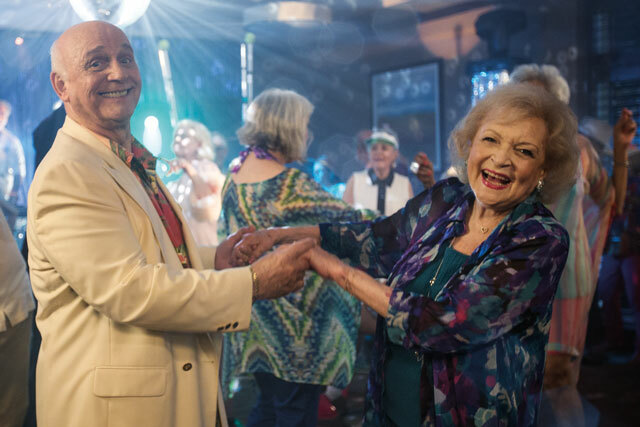 The former Golden Girls star appears alongside American actor Gavin MacLeod, in a series of shots showing the residents of the fictional Second Wind Retirement Resort playing golf, board games and sunbathing. The four-minute tongue-in-cheek film - Safety Old School Style - is the latest inflight safety video from the airline, after its last release in February starred adventurer Bear Grylls. Airline crew take the retirees through the safety procedures giving a humorous slant to the usual oxygen mask, seatbelt sign and nearest exits spiel.